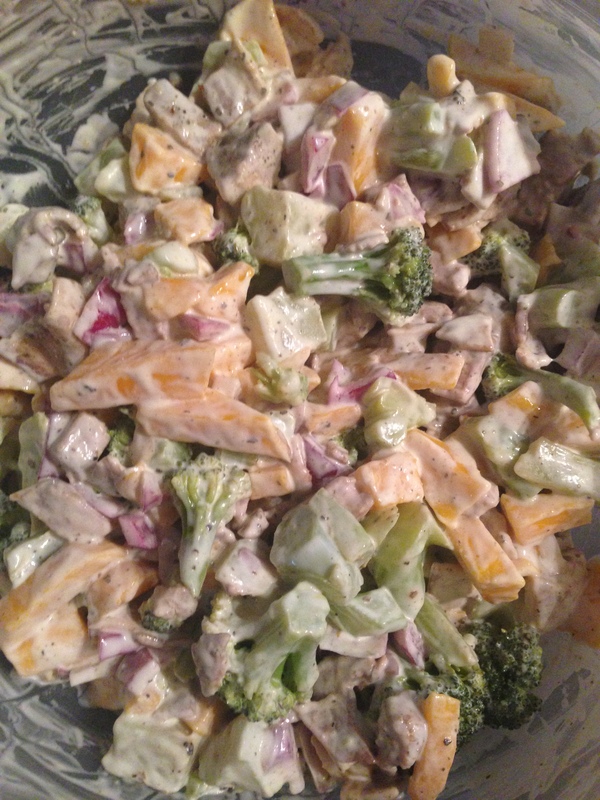 This entry was posted in Recipes and tagged Bacon, Beef, Broccoli, Broccoli Salad, Mango, Red Onion, Sir Kensingtons, Summertime by livinglikelinds. Bookmark the permalink. Hi Linds, Currently salads are my best companions and every day I search out for a new perfect salad recipe and this recipe turned out to be perfect for today. It looks awesome and surprisingly, all the ingredients are my favorite. But my husband doesn’t like broccoli too much so I am thinking to add carrots and red cabbage. I hope it turns out perfectly well. Thanks for sharing. Did you make the broccoli salad and sub out the vegetables? I’d be curious to hear how it turned out. I suppose cauliflower would work too, or maybe shredded/quartered brussels sprouts!